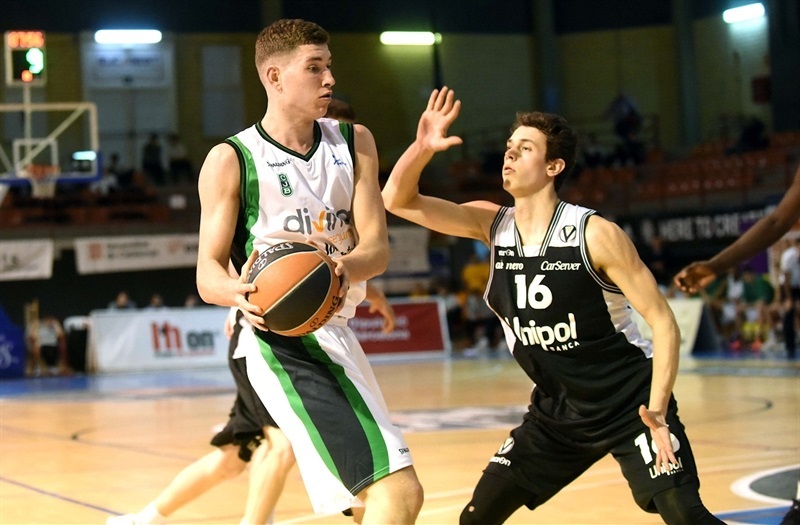 U18 Divina Seguros Joventut Badalona took a major step to reaching the final of the Euroleague Basketball ADIDAS NEXT GENERATION TOURNAMENT Ciutat de L’Hospitalet as it knocked off U18 Virtus Bologna 83-94. 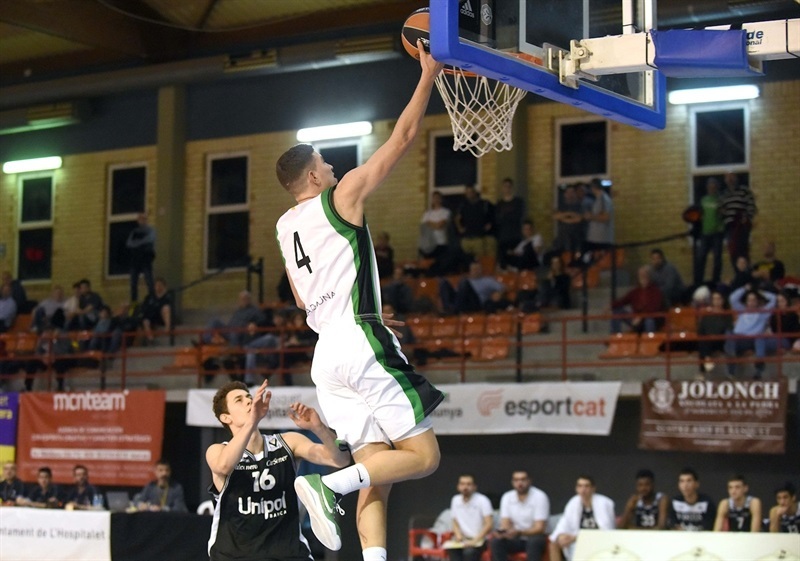 Joel Parra had 23 points, 6 rebounds and 4 assists in helping the 2013 continental champion Joventut to move to 2-0 in Group A. Arturs Zagars added 17 points, 6 rebounds, 8 rebounds and 2 steals for Joventut, which got 14 points each from Didac Cuevas and Arnau Parrado and 10 points a piece from Aleix Haro Val and Manel Signes. 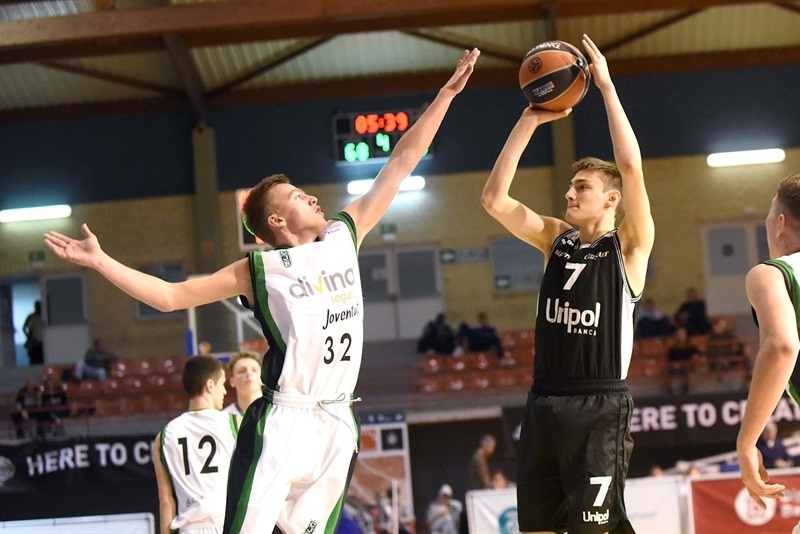 Virtus dropped to 1-1 despite Mikk Jurkatamm scoring 20 points and Niccolo Venturoli picking up 14 points. 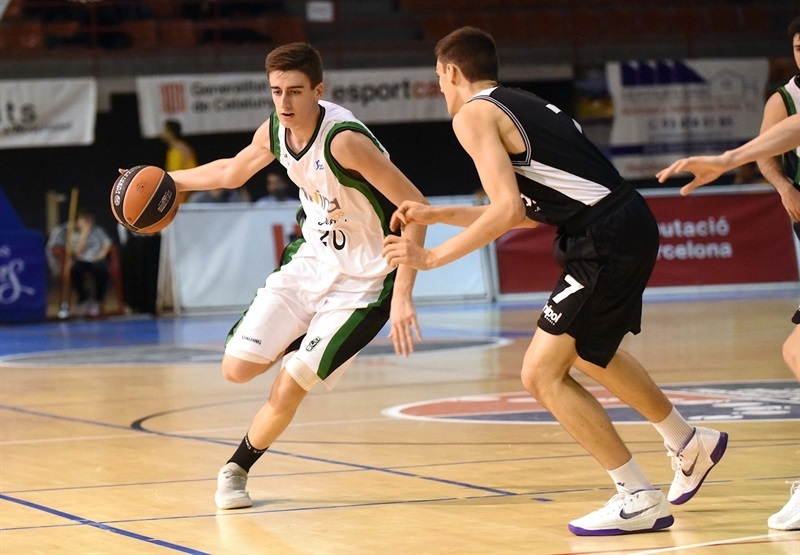 Things were close to start and the first bigger lead was Joventut leading 12-19 on Arnau Jaime’s three-pointer with Parra having scored 7 points. The score was 15-21 after 10 minutes. 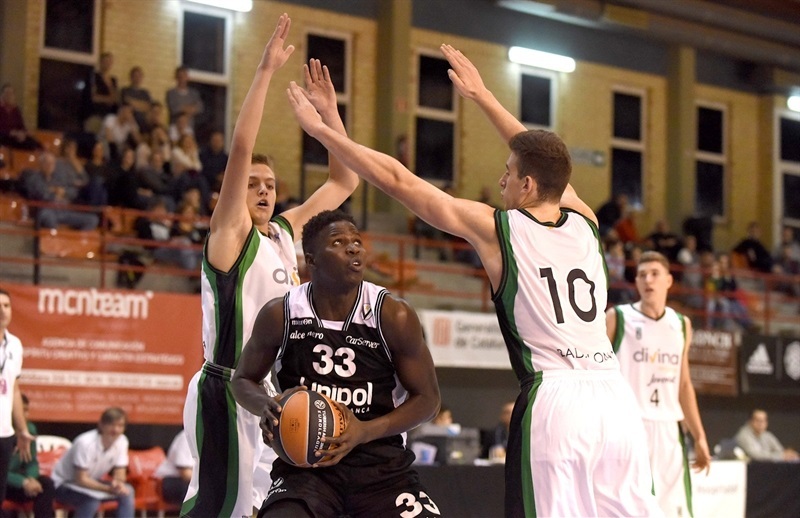 Joventut began to pull away in the second quarter on three-pointers from Cuevas, Haro Val, Zagars and Parra to go ahead 22-39. After scoring 16 points in the first game, Gora Camara finally got on the board just before the break with a three-point play to make it 32-46 at intermission. Virtus was not ready to give up though it still trailed 44-60. The Italian side finished the third quarter with a 17-4 surge to cut the gap to 61-64. But Joventut turned things up and put Virtus away for good again with the long ball, with Parrado, Haro Val and Zagars all hitting from long range in a 7-21 surge for a 72-89 lead. And that was it for Virtus.